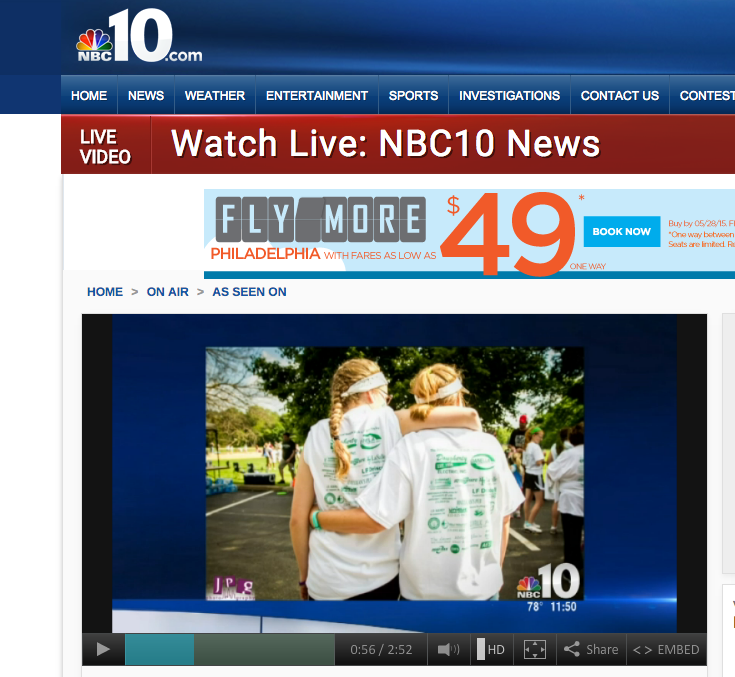 This past Memorial Day, Joe Spause, the Executive Director of Brave Hearts for Strong Minds, and a longtime client of JPG Photography, was featured on NBC 10. Brave Hearts for Strong Minds is an organization which raises college funds for children who have lost an income earning parent. They have a great give-back philosophy that encourages recipients to stay involved by helping future recipients, and JPG loves this concept! Their annual fundraising walk is on June 20, 2015 (the Saturday before Father’s Day) at LaSalle College High School. Registration starts at 9:00 a.m. and the walk will begin at 10:00 a.m. After the walk you are free to enjoy the food, music, and games until 1:00 p.m. JPG Photography will be there to document all of the action again! You too can get involved by following this link. Hope to see you there!